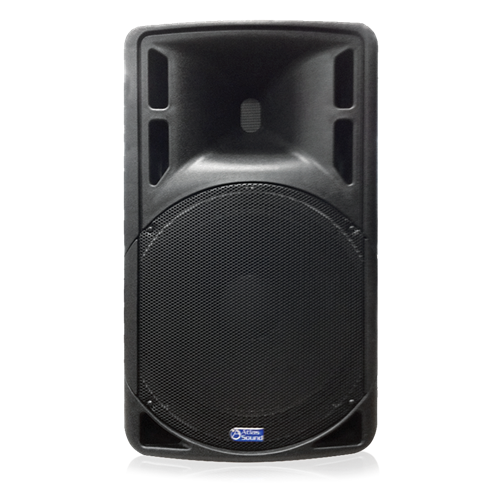 The AtlasIED SMA-15 speaker is designed to provide high intelligibility and coverage in applications including rental/staging, DJ, house of worship, public speaking, schools, and other applications where fixed installation is not a requirement. 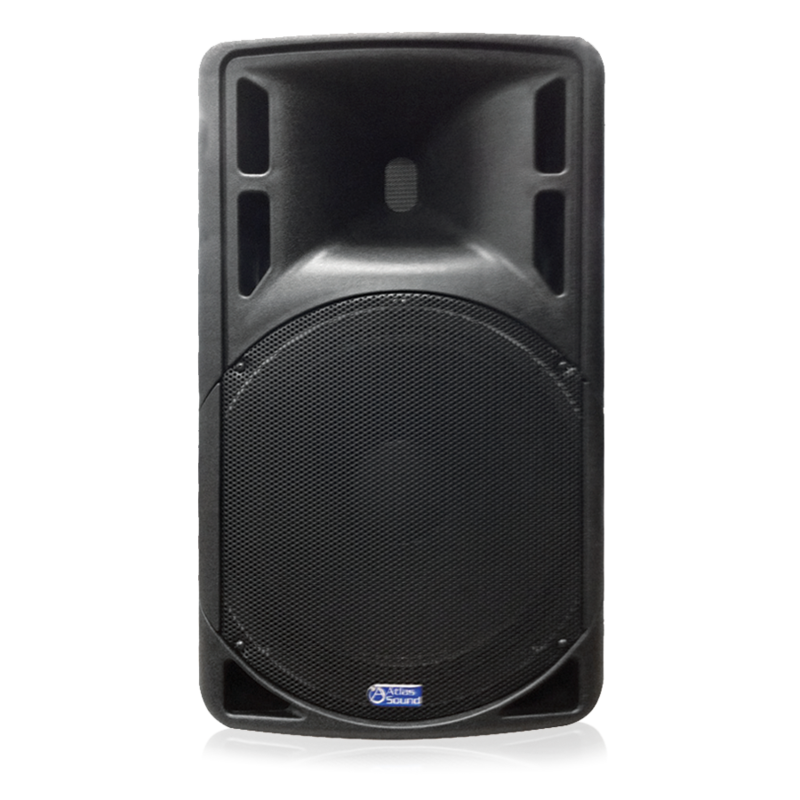 The SMA-15 features a 2-way design with either a 15" die cast low frequency driver and a high performance, high frequency compression driver housed in a durable injection molded enclosure. The unit includes an integrated 250 watt RMS amplifier that powers both speakers in the cabinet. This amplifier can also power a direct connected SMP passive speaker via the rear panel Speak-ON® connectors. 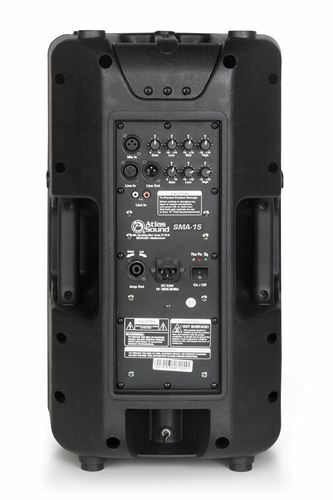 The SMA-15 features rear panel inputs including Mic In XLR, Line In XLR, and Line In RCA. The Mic and Line inputs have independent gain control as well as frequency adjustment to maximize the sound quality of the source. Additionally, the unit includes a Line Out XLR that can be used to connect a second SMA speaker in order to share the Line In XLR source. The Amp Out Speak-ON® connector is designed to allow connection of a passive SMP speaker model. The SMA-15 features a -6dB crossover point, at 1575Hz. The high pass crossover section is also equipped with a Polymeric Positive Temperature Coefficient resettable switch. This switch protects the high frequency driver from damage caused by excessive power ensuring long lasting reliability.